Can anybody help me? 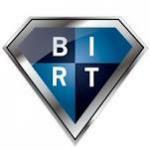 someone had worked with birt and Netsuite integration? I can find a Jar to conect my database . Netsuite's SuiteAnalytics Connect has a JDBC driver (NQjc.jar). Or via a third party JDBC driver such as one from CData (http://www.cdata.com/drivers/netsuite/jdbc/). Also, Netsuite's SuiteTalk (http://www.netsuite.com/portal/developers/resources/suitetalk.shtml) is available, which are their web services so you can use via SOAP. Could you share a example of query from netsuite? cause I tried like: select * from Table unsuccesful! Sorry, I have not used those connectors before. Which driver are you using? Have you tried to contact the company's support that created the driver? I came across from your post. I'm not understand exactly can you share example of your query. As of know refer the link it will be helpful for you.